There are a few businesses out there that do not realize logo design is for everyone. This is not the case; the power of a logo for even a small business cannot be denied. It can be integrated into your brand building process, which you are engaged in at every moment. It is your decision what sort of image that the brand conveys for your customers. 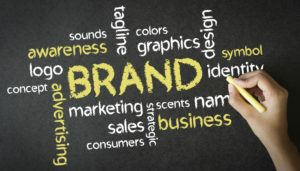 The bottom line is, branding and logos are important; otherwise, we would live in a world of no- name, generic products. Years ago, it was believed generic products would outsell the branded, more expensive products. Generic products would take their place alongside their more expensive counterparts, but every consumer can see that, on the shelves, branded packaging continues to dominate. This is not just because customers enjoy pretty packaging, though. Humans are about relationships. Without them, we would not be able to thrive as we have done. Each business’ relationship with their customers starts with their logo and their brand. When faced with a choice between a company that has a logo on its Google ad and one that does not, the person looking for a company to fill his or her needs will almost always choose the company with a logo. If you are looking for more information on branding check out our branding page.